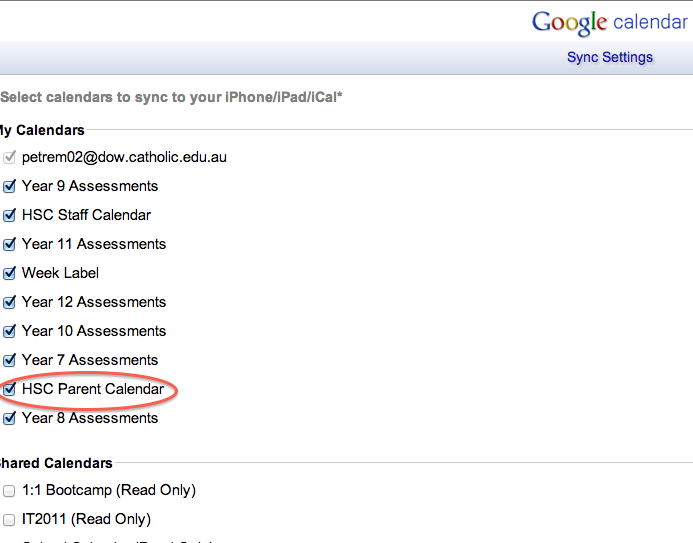 The screenshot below shows the shared calendars accessible to the College Community with the exception of the Staff Calendar which is private to staff only. Other calendars you should have include your School Timetable and personal Calendars. Contact Mark Hamlet or Myself if you are having issues.